Turkey trip was one of the most memorable trips for us. Istanbul is so rich in culture and history that one can spend weeks just in this city. We had initially planned to visit Istanbul and Egypt, but after our trip to Egypt got cancelled because of the protests, we visited Cappadocia, Pamukkale and Antalya in Turkey. Hence our itinerary is not as crisp as I would have liked it to be. Much of this trip was planned on the fly. Day 1: Arrive in Istanbul. Day 4: Half day in Istanbul. Fly out to Nevsehir(Cappadocia). 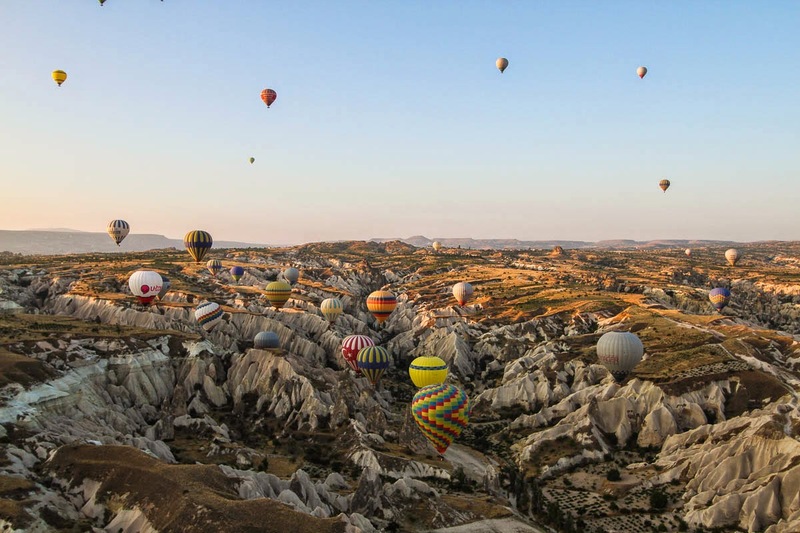 Day 5: Hot air balloon ride and city tour of Cappadocia. Fly out to Istanbul. Day 6: Early morning flight to Antalya. Spend a day in Antalya. Day 7: Day trip to Pamukkale. There are two airports, Ataturk(IST) and Sabiha Gocken airport(SAW). IST is closer to Old Istanbul and this is where I'd suggest you stay as well. Istanbul has a pretty well connected public transport system. But from the airport to the hotel, you may want to take a cab because of all the luggage, or as was in our case, the hotel arranged for a prepaid cab, so that the cab driver doesn't go round and round looking for the place. Turkey is a very modern country and Istanbul in particular is a very modern city. If you plan to stay in touristy places, wear whatever you are comfortable in. Before I went, I heard that people are mostly conservative about what to wear, but I did not feel that ways. It is like any other city in Europe. Even for Antalya, Cappadocia and Pamukkale, since we guys were mostly in touristy places, it was ok to wear shorts and skirts. You just need to make sure your head, shoulders and knees are covered while going to religious places. They usually have robes and scarves to offer outside mosques. How to travel between various cities? We traveled between various cities within Turkey via domestic airlines AtlasJet. Since this was an impromptu plan after we canceled our Egypt trip, we didn't have much choice. Of course Turkish airlines is the best option, but Atlas Jet was quite good as well. Apart from these, there are various bus tours operated between other tourist destinations and Istanbul by various travel agencies. We booked our flights on our own. Visa: When I traveled, Indian citizens with valid US/UK/Schengen visa could get visa on arrival. 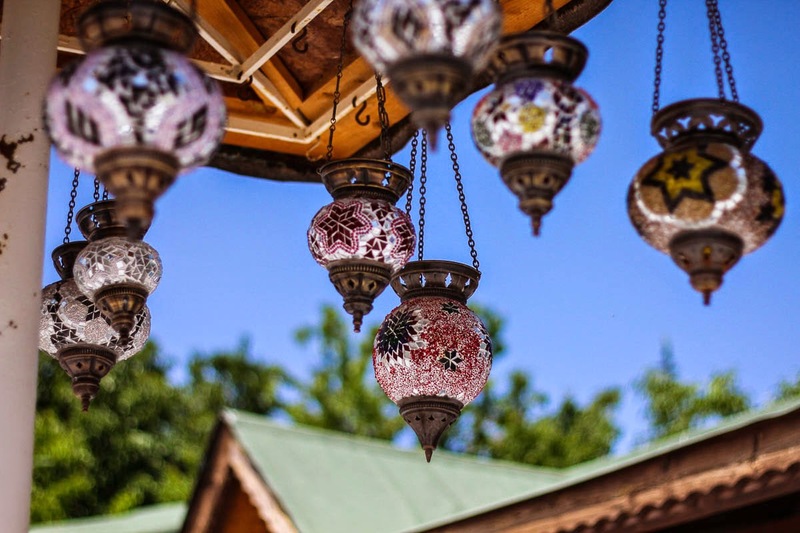 Turkey has amazing ceramic works, beautiful silk carpets, turkish lamps and many artefacts to offer. Do not forget to bargain if you plan to shop. Before I start rambling about what to see/do/eat here, I must mention how jinxed this trip was. Our flight from SFO to Munich had an emergency landing in Seattle. Then, we couldn't fly out of Seattle for another day. So, we lost a day in Istanbul. Then, protests in Egypt got violent and we had to cancel our entire tour. But well, we got to travel with in Turkey quite a bit and it was totally worth our time! Talking about Istanbul, a part of this city lies in Europe and a part in Asia! Even culturally, I think this place is a blend of both cultures. The city is separated by Bosphorous canal. To the west is Europe and to the east is Asia. Thankfully, people don't go "Indian? snake charmers?" any more. They go "Indian? Shah Rukh khan? Amitabh Bachhan?" or even "Indian? 3 idiots? engineer?" Turkish people are the friendliest people I have ever seen! Most of the posh or upscale hotels are located near the Taksim square, but we avoided that area due to protests going on in Turkey at that time. There are many small scale hotels called Boutique hotels which are also a very good option. We stayed at the Esans hotel and I highly highly recommend them. 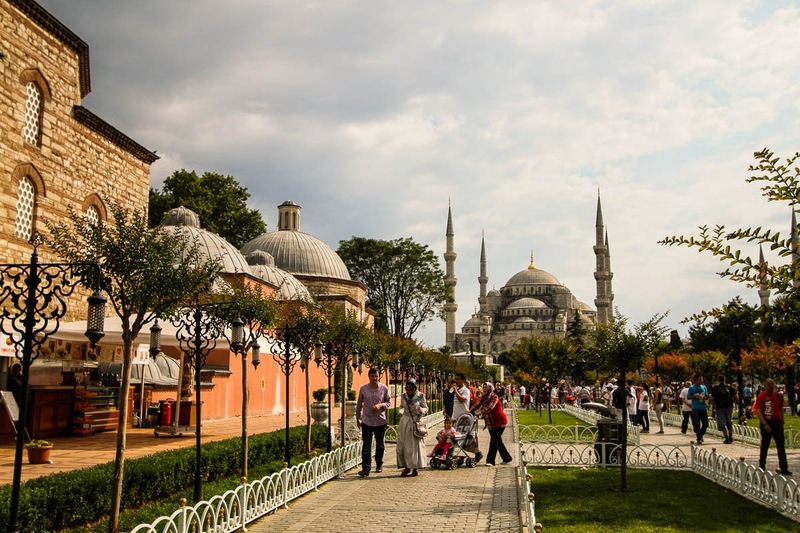 They are located in Sultanahmet area and this is the touristy area of Istanbul. All the tourist attraction were located at a walking distance and the staff was so courteous and the breakfast so good! Our room even had a beautiful sea view. I would suggest picking a hotel in the Sultanahmet area. Public transport is very convenient but crowded. I think it was the blue line that connected most of the tourist spots. We mostly walked down to the tourist spots in the Sultanahmet area. Taking a cab is not a bad idea as well, just take a prepaid cab and ask your hotel staff for how much it will cost, else you might just end up paying double the fare. Keep a visiting card of your hotel to get back. Since our hotel was in some inner streets, it helped cab drivers to call them and ask for the exact route. Well depends on your dietary restrictions :) But there are plenty of options and most of them are good. We used to just stop by some restaurant and ask if there were any veggie(sabzeli) options. Quite close to our hotel was Abiyik street which had many small European style restaurants. They used to look at us and go Indian? veggie? This place is quite lively till midnight. The appetizers(hummus) and chai will mostly be offered to you on the house if you pick their restaurant. Istanbul has crazy number of options! I will just go ahead and state my itinerary. Plus, I will give you pointers to a few more options. Some of the most important places like Hagia Sophia, Topkapi place are closed on some days. Make sure you figure that out before you plan. Most of the places are very close by. Just get a tourist map and plan your trip. If you do not plan to hire a guide, it may be a good idea to buy the audio guides for some of these places. Dolmabahce Palace: They have only guided tours and the palace is quite pretty and the most modern palace of the Ottoman Empire. Hagia Sophia: This place was a church till about mid 15th century and then converted to a mosque after the Ottomans conquered this place. Just the history of this place impresses you. You can see both mosque and church features inside. A must see. 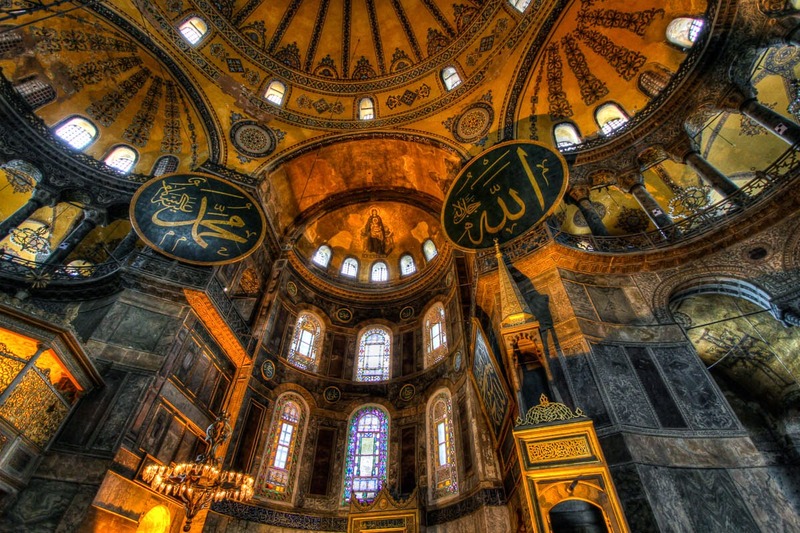 Read all the history about Hagia Sophia. 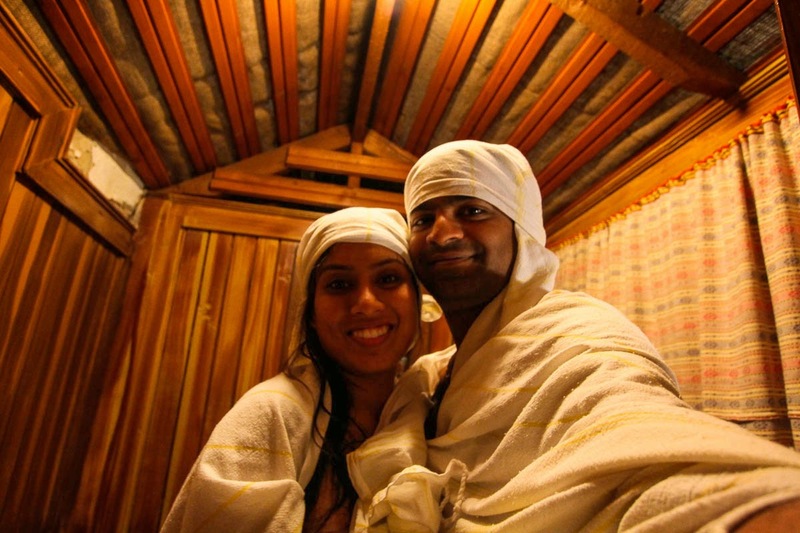 Hamam: It is a traditional Turkish spa. It was quite relaxing after our 2 day long ordeal with flight delays and cancellations. Sultanahmet(Blue) Mosque: First, it isn't really that blue! But it is beautiful from the inside. What beautiful and intricate artwork! Tourists are not allowed inside during the prayer times, so take a note of the times. They will provide you robes/scarves to cover your head, shoulders and legs. Topkapi Palace: A huge palace with lots of jewelry, weapons and clothes exhibit. I found it quite like the palaces in India, and the artwork inside was pretty and nice. Belly Dancing: We went to Orient house. They have a show from 9 pm - midnight everyday. They show some of the other folk turkish dance before an hour of excellent belly dancing. Then there is some entertainment for another hour or so. Their host was actually quite entertaining. We opted for a "no dinner show" as there weren't any veggie options to eat. It was good fun over all! 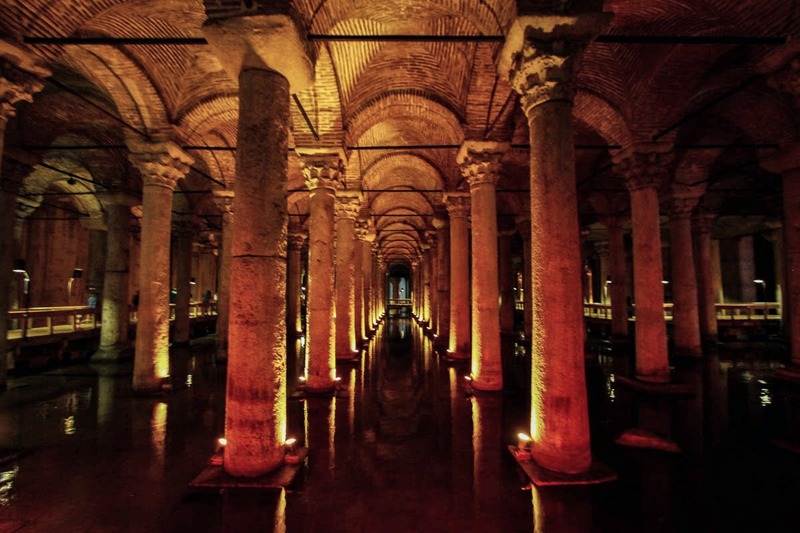 Bascilia Cistern: Another impressive civil engineering example and a very quick visit worthy. 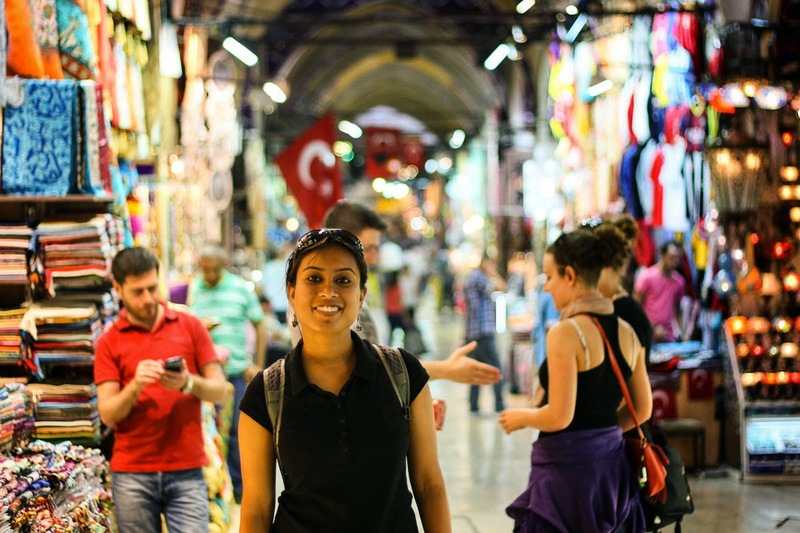 Grand Bazaar: This is the Palika bazaar of Istanbul. Haggling was so much fun and I loved shopping here. Taksim square: Even during these times of protests, I heard it was quite peaceful to visit these areas. In fact, we met quite a few tourists who had been to Taksim square. Istiklal Street: A very hep place to hang around and chill. We skipped it because we were avoiding the areas close to taksim square. Driving in Istanbul is not at all a good idea. Be careful of pickpockets in public transports and crowded areas. We saw police chase a purse snatcher on the streets. A very helpful guide from tripadvisor is here. Another set of useful itineraries. Rent audio guides or follow guide books to understand the history and significance of the palaces and mosques. Our trip to Cappadocia was organised by a tour agency. But, I think it might be do-able on your own if you don't want to get on the standard tours. Since it was a last moment decision to go to Cappadocia, we got a little skeptical to make it DIY(do it yourself) trip. Nevsehir is the closest airport in the region you would want to visit. It takes about an hour to get to the towns where most of the tourists stay. The tourist towns are Goreme and Urgurp. 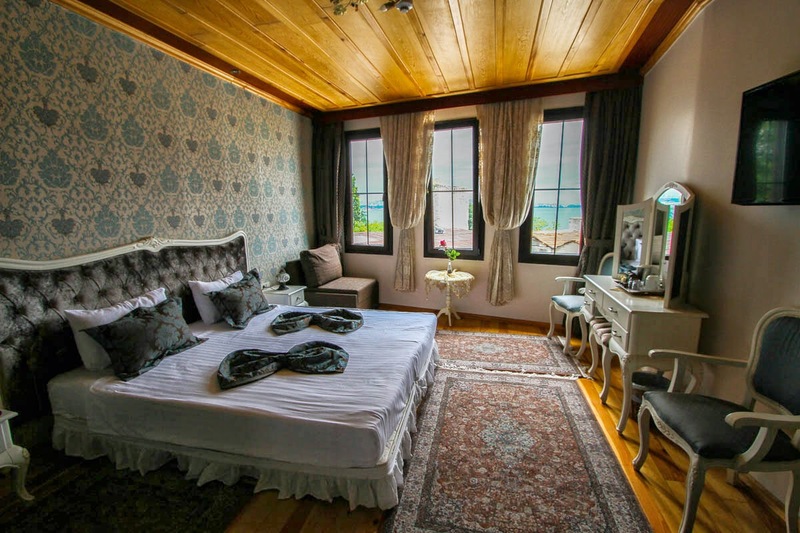 They are cave towns and the hotel you chose will most likely provide you with some transportation options from the Nevsehir airport to their hotel. A cave hotel. It is a different experience and I totally loved it. It is cold and dingy inside and something I had never experienced before. If you are travelling all the way to Cappadocia, might as well choose to stay in a cave hotel. We stayed at the Melis Hotel and it was quite good. Hot air Balloon ride: It was our first time taking a hot air balloon ride and it was so beautiful and totally worth it. The ride gives you a bird's eye view of the amazing landscape this region has. The pilot is able to maneuver the hot air balloon very precisely and we felt very safe. Almost all the tour companies launch their balloons around the same time in the morning. The view of so many balloons in the sky is breathtaking in itself. Choose any company, they would launch around the same time and take you over the same region. Tour: We did a standard guided tour and it was quite boring like most of the guided tours are. However, I do not know how would you go around the city yourself, if not by a guided tour. It was quite average on the whole and the obligatory stops at the carpet and ceramic factories were very painful. Only good things were a couple of stops at panoramic view of the landscape. Open air museum is interesting too. But it was very hot and our guide wasn't too keen on guiding us, so we were quite bored. This is a typical beach town and has all the features of a beach resort city. After we went to Cappadocia, we realized that traffic in cities other than Istanbul is not that bad and decided to drive ourselves. Plus, we wanted to explore the city by ourselves and be on our own schedule. Antalya airport is around 20-30 minutes away from the beach resort area and I think the best option to get to the hotels would be to take a cab if you don't have your own car. It is a resort city, so take your pick. Beach hotel, sea view, city view, 4 star, 5 star. you will have a lot of options. We stayed at The Marmara resort. Our room had beautiful views of the Mediterranean sea. Spend time on the beach. It is Mediterranean waters after all. We took a stroll around the old town(Kaleici) area. Other option would be to go to Aspendos Theater which is about an hour drive from here. Aspendos theater is the most well preserved theater from the roman times. You could also go to Duden falls. We didn't do much as we just wanted to relax and were short on time. It is a day trip from Antalya. We decided to go here after Sumit realised that the song "Tu Jaane Na" from the movie Ajab Prem ki ghazab Kahani had been shot here and it had some really beautiful locations. 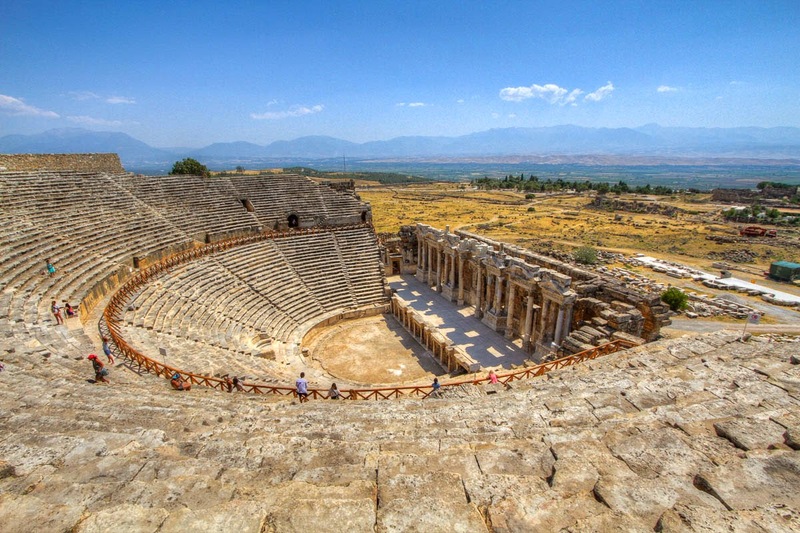 It is a scenic drive from Antalya to Pamukkale. Thankfully we had a GPS to help us navigate. On our way we stopped at Denizili for lunch and dinner. We enjoyed this trip mostly because we were on our own. We lost our way somewhere in the city's narrow roads and GPS rescued. Had to hunt for veggie food and then communicate the order using sign language. It was quite a memorable experience. Well, you are going all the way to Pamukkale to go see them, might as well take a dip. It is a national park and a well preserved area, but there are a lot of tourists here. Getting here as early as you can would be a good idea to avoid crowds. There is a roman theater and some ruins just behind the travertines. Once you are done dipping in the travertines, you should go and explore other areas of the park. Remember to be in your bathing suit when you enter this area. As the restrooms are after you cross the travertines area and it is quite a walk, it will be very inconvenient to go all the way and then change and come back and relax in the pools. 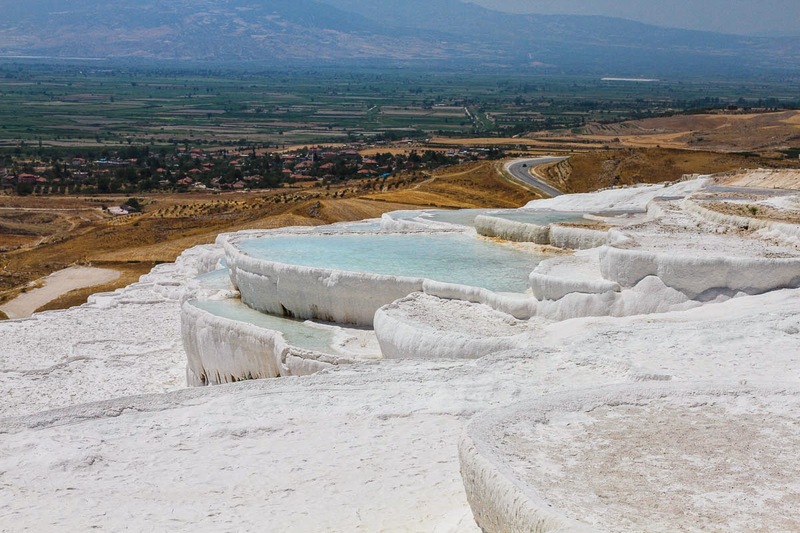 Spending a night here in Pamukkale may not be a bad idea as well. Then you can go visit Ephesus too. These are another set of ruins very close to Pamukkale.